Jonny Greatrex and Jamie Stephens, who teach on the Multimedia Journalism programme in the School of Media Art and Design, will be sharing their research on participatory journalism. Tim Jones, Senior Lecturer in Film, has won a Hollywood International independent Documentary Award for his documentary short, Seeking Sydney. The documentary explores the life and work of Sydney Bligh, who made newsreels of Canterbury. 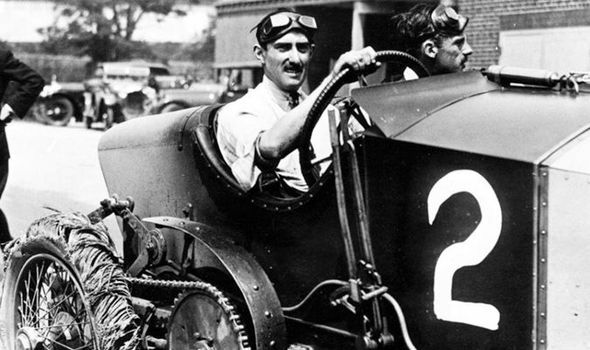 His films include footage of the multimillionaire Count Zborowski whose racing cars were the inspiration for Ian Flemings’ Chitty Chitty Bang Bang. Zborowski built his own private mile-long 15” gauge railway around his estate and Bligh’s film is the only surviving visual record of it. Bligh also filmed T.S. Eliot at the first performances of Murder in the Cathedral and Dorothy L Sayers with her first performances of The Zeal of Thy House and The Devil To Pay. Seeking Sydney provides an insight into the scope, ambition and technical level of an early amateur filmmaker. Tim says “This is the first award that I’ve won abroad and so it was particularly exciting that this should be in Hollywood.” It will receive a festival screening at the Award Ceremony at The Raleigh Studios Hollywood on 10 September 2016.